What you feel if you want to go for an urgent meeting and you Mazda B2500 engine break down or won’t work perfectly? I think it would be the most irritating time of your life. And obviously you never ever want to be the victim of this incident. So if you feel at any time that your Mazda B2500 engine fails in giving what it was at the time when it was new, without wasting any time, simply visit Engines for Sale. Used or second hand Mazda B2500 engine would be the best option to buy. Going for engine repair will not only charge you too much, but also will take a lot of time, even days to week. Now it’s up to you what to decide. Engines4sale.co.uk is the best Mazda B2500 used diesel engine and petrol engine selling platform in UK providing best working and efficient performing Mazda B2500 used engines. With the help of our professional engine repairing and replacement staff, we feel proud to deliver top quality used Mazda B2500 engines for sale. We have a wide range of different types of engines, less used, low mileage, newly used and many more. Just select the one that you want for your car and drive it away with full confidence. If your car engine fails to emit efficient performance, either to replace it or repair it. This is the solution that everyone know. But there is a secret that not only save your money but also your time. Buying a used Mazda B2500 engine is always a cheap price solution if you compare it with buying a new. 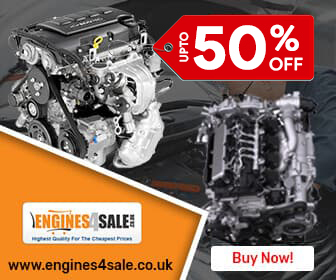 You can save up to 35% on buying used engines from engines4sale.co.uk. Buying the perfect working used engine for your B2500 release your tension. But what to do with only engine? It cannot be driven until properly fit in the vehicle. Engines 4 Sale is also offering the fast Mazda B2500 engine fitting service. Under fully safe and professional environment, we deliver your car after fitting Mazda B2500 engine with full accuracy guaranteed. 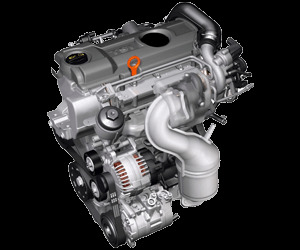 Mazda B2500 engine delivery to your doorstep or to your desired destination is not a big deal for engines4sale.co.uk. We offer engine supply and fit and delivery service at nominal charges. All Mazda B2500 reconditioned engines, used and second hand engines at www.engines4sale.co.uk are sold under standard warranty to make sure that we care for the customers. The period of warranty depends upon the condition of the Mazda B2500 used engine. We have ready to dispatch stock of low mileage used Mazda B2500 engines available. Simply entre your Reg. No and get the price of your desired Mazda B2500 engine.